CIFM / interzum guangzhou 2019 will offer a wealth of highly interesting supporting events and activities again to enrich your visit to the show. 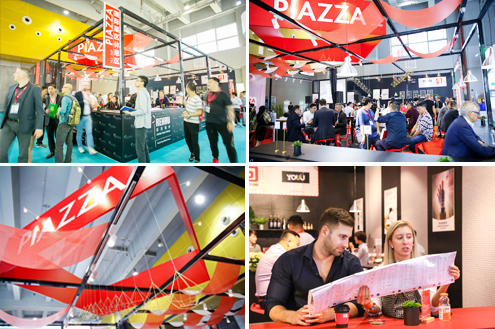 Exhibitors and visitors alike at Hall 12.1 was treated with complimentary Italian coffee, tea, fruit juice, red wine, champagne and desserts at the PIAZZA mini lounge in 2018, as an extension of the well-received PIAZZA lounge at Hall 14.1. In 2018 event, free WiFi service was provided at International Hall 14.1 & Hall 15.1. Besides being the platform of choice for procurement, interzum guangzhou is also the hotbed for industry product launches and announcements every year. In addition, concurrent seminars revolving around design, technology and materials at this edition also seek to engage and inform participants about emerging trends. Speaker: Ms Vera Qin, Marketing Coordinator, LINAK (Shenzhen) Actuator Systems Ltd. Yet another bright spot, the inaugural “20 PLUS 20 Annual List - interzum guangzhou Outstanding Furniture Accessories“ initiated by show organizers to actively recognize and encourage innovative brands and products in the furniture manufacturing field saw nominations pouring in from exhibitors to vie for the top 20 most influential and innovative furniture accessories accolade for 2017-2018. A two-hour interzum guangzhou Networking Happy Hour on the third day of the exhibition (March 30) at interzum guangzhou 2018 took place where fellow like-minded peers can share their experience and explore the development of the furniture industry over delicious snacks, great wine and relaxing music. Efforts by the organizers to ensure an informative, comfortable and memorable experience does not stop there as visitors will get to bring home the exclusive interzum guangzhou souvenirs sponsored by Guangdong Tianan New Material Co., Ltd. and Qingdao Richmat Intelligence Technology Inc, in 2018 event, after collecting stamps and photos from international halls. PIAZZA lounge debuted at machinery hall, Hall 12.1. Exhibitors and visitors alike at Hall 12.1 was treated with complimentary Italian coffee, tea, fruit juice, red wine, champagne and desserts at the PIAZZA mini lounge in 2017, as an extension of the well-received PIAZZA lounge at Hall 14.1. In 2017 event, free WiFi service was provided at International Hall 14.1. Speaker: Zhejiang Jiecang Linear Motion Technology Co., Ltd.
A special display entitled “Unveiling – The Mysteries of Furniture Production” showcasing the various aspects of furniture production and exploring the drivers behind the development of the industry is poised to be one of the key highlights at the event. Products and technologies covered include furniture raw materials, accessories, hardware and upholstery for furniture manufacturing. Visitors can experience the products at the interactive area and gain a deeper understanding of the charm of the furniture industry. A two-hour interzum guangzhou Networking Happy Hour on the third day of the exhibition (March 30) at interzum guangzhou 2017 took place where fellow like-minded peers can share their experience and explore the development of the furniture industry over delicious snacks, great wine and relaxing music. Efforts by the organizers to ensure an informative, comfortable and memorable experience does not stop there as visitors will get to bring home an exclusive interzum guangzhou souvenir sponsored by Guangdong Tianan New Material Co., Ltd., in 2017 event, after collecting one stamp each from any of the two international halls. Free drinks (fresh juice, coffee and wine) are provided to pre-registered visitors at the PIAZZA (located at Hall 14.1, Area C). Pre-registeronline now to enjoy this special privilege! Free WiFi service at International Hall 15.1. Benefit from and share with other industry insiders, experts and scholars from China and abroad on the latest industry trends and new innovative concepts. Attractive lucky draw prizes to be won at the official forum. Click hereto learn more. Redeem an special coffee tumblerfrom Koelnmesse at the Souvenir Redemption Counter at Hall 12.1 - C03 of Area C. Pre-registernow to obtain the redemption voucher. Redeem an exclusive backpacksponsored by Guangdong Tianan New Material Co., Ltd.at Hall 14.1 upon collecting any one stamp from Hall 12.1 or 15.1. Description: - New color card for our high gloss and super matt panels. - New panels line with FINGER PULL, handle integrated. - New technology: MFC (MALAMINE FACE CHIPBOAR) 100% SYNCHRONIZED. - Trendy surfaces where the embossed texture is 100% synchronizing with the grain that appears on the decor. Description: Invitation only. Please RSVP to Peggy Yubefore March 23, 2016. The PIAZZA voucher entitles visitors to one complimentary bottle of drink and wine. Looking for a place to conduct business meetings and catch up on some emails at the event? The PIAZZA makes an ideal location with free internet service. 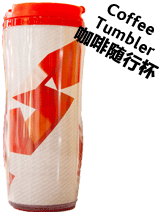 Redeem an exclusive travel coffee tumbler sponsored by Guangdong Tianan New Material Co., Ltd.at Hall 15.1 upon collecting any two stamps from Hall 12.1, 14.1 and Hall 15.1 respectively. *Note: The program is subject to change without prior notice. Redeem a special souvenir at the souvenir redemption counter at Hall 12.1 of Area C.